Well, here we are, officially halfway through 2015. It hardly seems like 6 months (and 60 books) have passed, but that's where we are. This year has marked a different approach to the review pile for me, one in which I put entertainment ahead of obligations. As a result, a good portion of those books were abandoned to the DNF pile, but I'm pleased to say an even larger portion absolutely knocked my socks off (or would, if socks lasted on my feet for more than a split second longer than it takes to get home from the office). Anyway, 6 months . . . 60 books . . . let's keep that theme going and count down the top 6 books of the year (so far). What I said about it: The Unremembered is not a book that's going to greatly challenge you or thrust you far outside your comfort zone. It's not a ground-breaking work or one that's destined to shatter genre expectations. 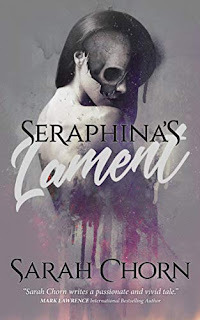 Enter into it with an appreciation for familiar fantasy tropes, however, and you will find yourself well-rewarded with a darker, more mature sort of epic fantasy that has a lot of flair and a lot of depth to be enjoyed. 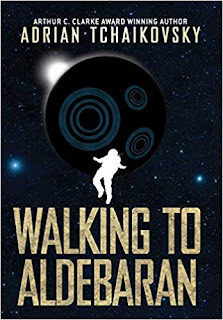 What I said about it: Elizabeth Bear has crafted an unassuming sort of story that's equal parts science fiction, steampunk, alternate history, western, pulp adventure, romance, and thriller. Surely, it seems like it should be too much, like there should be too many things going on, but it all comes together in just the right proportions to make for a fun read that will have you turning pages late into the night. 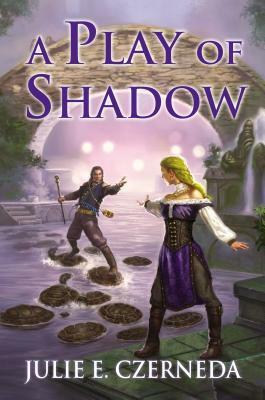 What I said about it: A Play of Shadow is everything I could have hoped for in a sequel, complete with the one thing the original book lacked, and that is a villain . . . or villains. Yes, there are two core conflicts here, one involving Jenn and another Bannan, and they serve to round out the tale. Rest assured, however, that while this second volume does add to the tale, it doesn't sacrifice any of the sweetness, the magic, or the wonder of the first. Definitely recommended. 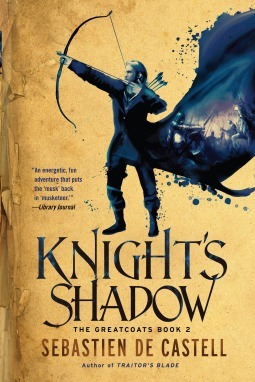 What I said about it: Thoroughly entertaining and emotionally intense, Knight's Shadow is the kind of historical fantasy that makes everything else pale in comparison. Sebastien de Castell gets inside our heads, inside our hearts, and under our skin. This is a powerful read, one that's full of surprises, and satisfying in absolutely every respect. If there's a problem, it's that it raises the bar so high, leaving Tyrant's Throne with some big expectations to fulfill . . . but that's a good problem to have. 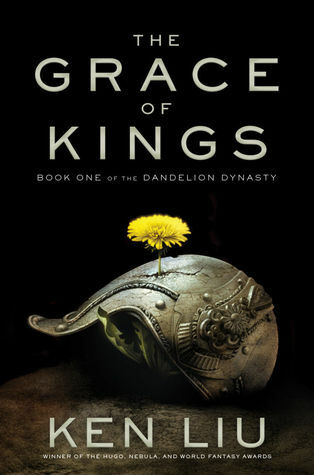 What I said about it: The Grace of Kings is, in a word, stunning. Normally I try to avoid making comparisons with my reviews, but here it's fitting. 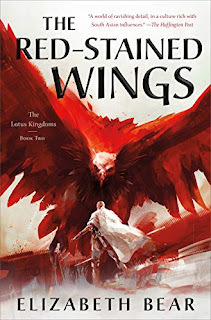 Ken Liu's debut possesses all the epic grandeur, intelligence, and dignity of a Guy Gavriel Kay novel, accented by the complexities, intricacies, and smirking humor of Steven Erikson's Malazan Book of the Fallen. It's a huge, sprawling epic, with a cast of characters that are challenging, but so well-rounded and distinct as to be immediately memorable. What I said about it: When I first snagged an ARC of this about six months ago, I was definitely intrigued . . . but hesitant. 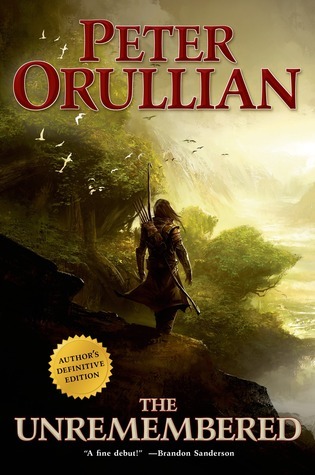 Building an epic fantasy around madness, faith, and delusion sounded very cool. I was optimistic, but I also had my doubts. We're talking high-concept here, and I was worried that the narrative would suffer from the strain of trying to sustain the threads of madness. In fact, I'd almost talked myself out of taking that chance when, on a whim, I decided to give the first few chapters a cursory read. A few vulgar, violent, vehement exclamations of approval later, I was well-and-truly hooked. 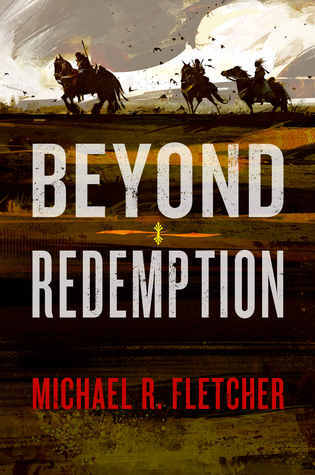 Beyond Redemption absolutely blew me away. It is indeed dark, grim, and gritty, but it's wild imagination is just as often manifested in moments of bleak, black humor. As for what it's about, this is the story of three men - one who would make a god, one who would steal a god, and one who would kill a god. What's up for the second half of the year? Well, looking at the review pile, I have high hopes for Bradley P. Beaulieu and Kameron Hurley; I hope Robin Hobb returns to form after last year's disappointing read; I'm curious to give N.K. Jemisin and Gregory Maguire a read for the first time; and even though they're 2016 releases, I've got my fingers crossed I'll see ARCs from Steven Erikson, Mark Smylie, Robert Jackson Bennett, and Jeff Salyards. A Play on Shadows has been mentioned many times online. I need to give it a shot. 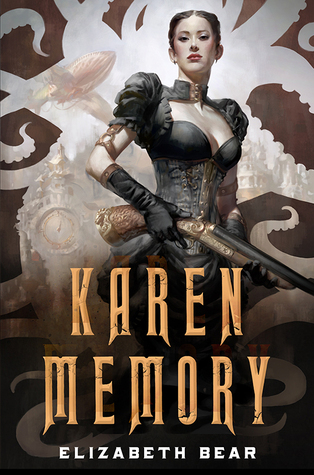 I really enjoyed the Unremembered and I so want to read The Grace of Kings. I've seen such a lot of favourable reviews for that one. We just interviewed Peter Orullian at AiSFP- was he ever a fun guest! He had some really insightful publishing stories to share. I want to check out Peter Orullian's Vault of Heaven series. Sounds like a series a would like. Also Sebastian's Greatcoat series. It seems like everybody is loving those books.